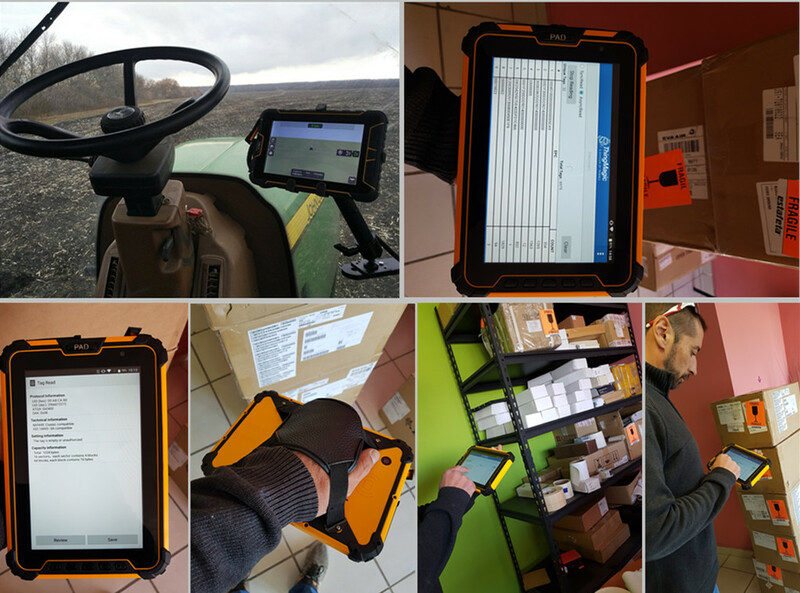 ST907V3.0-HG is a powerful industrial tablet pc. 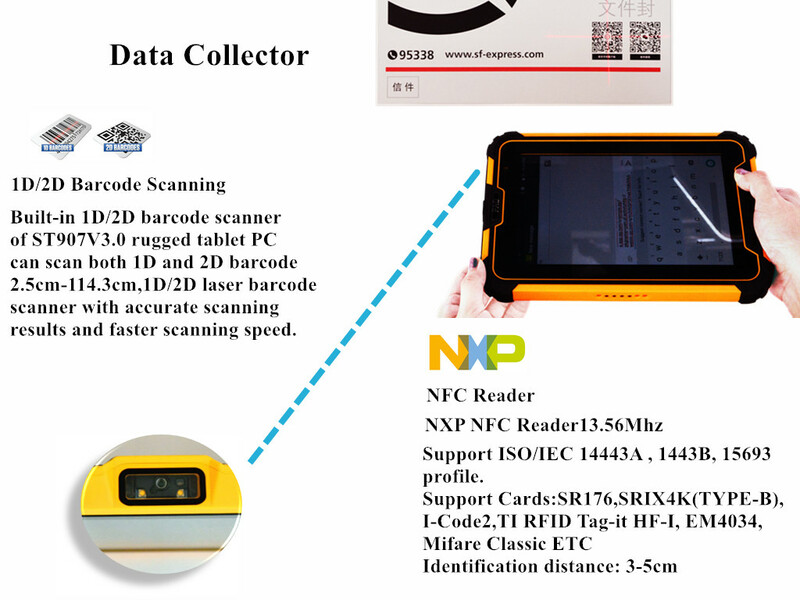 "H" stands for NFC RFID reader. "G" is GPS. 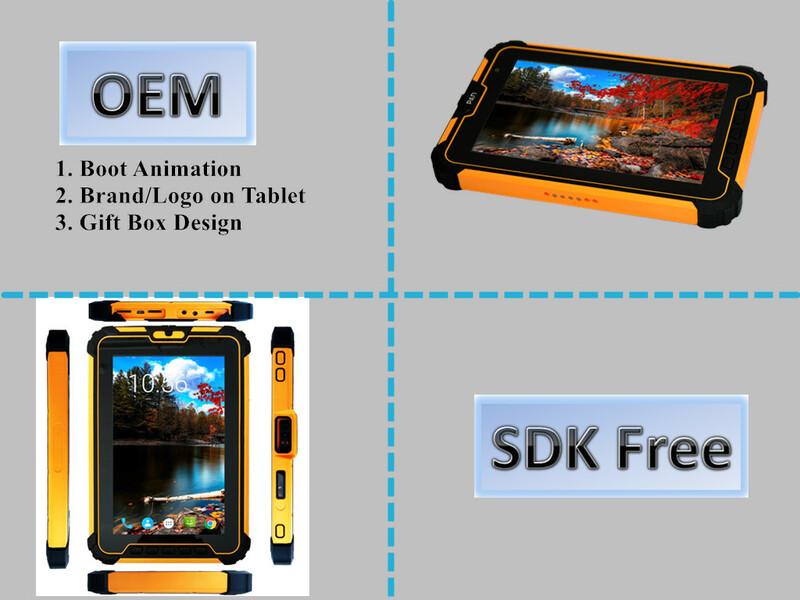 You can choose the different module you need.The device has 8 inch 1200*800 IPS screen and high performance capacitive touch. ST907V3.0 adopts Qualcomm MSM8953 Octa core 2GHz CPU and Android 7.1 operation system. 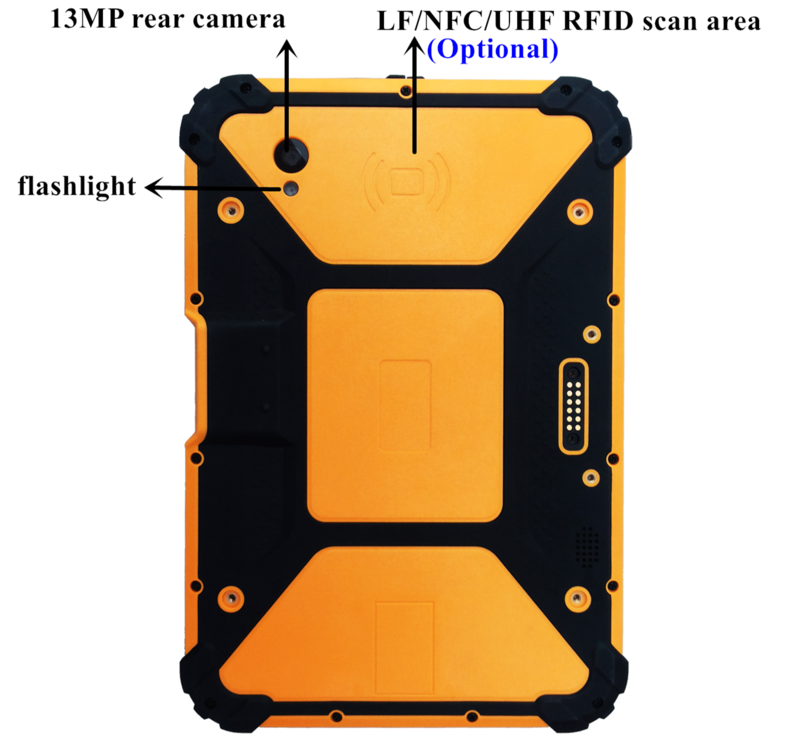 With best possible battery performance, as well as the comprehensive data capture options, including high-performance 1D/2D scanning, LF/HF/NFC/UHF RFID reading, you can find this easy-to-deploy device an exceptionally valuable helper for your workers to increase their efficiency and productivity. 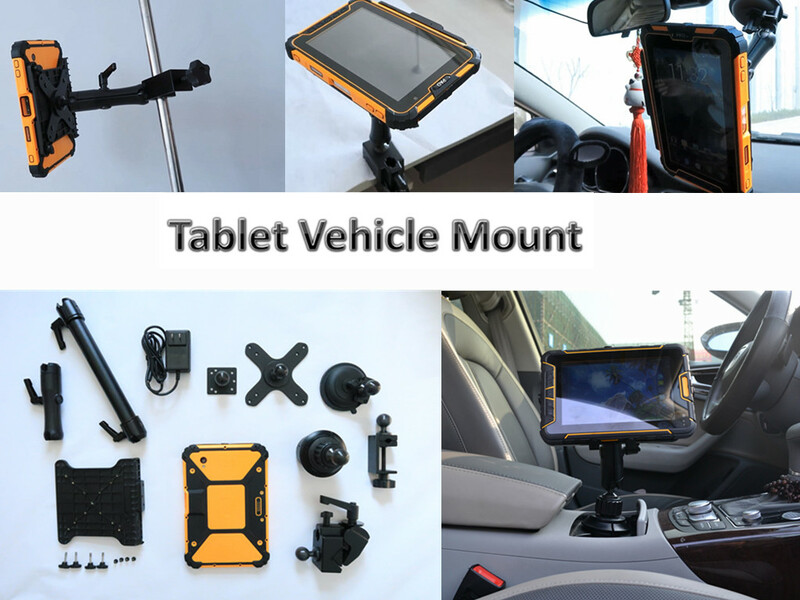 With its highly customisable ability, enterprises can deploy this single device in many areas, including industrial manufacturing, logistics management,warehouse management, asset management, animal management and etc. We will shipment goods within 3 work days for sample order. 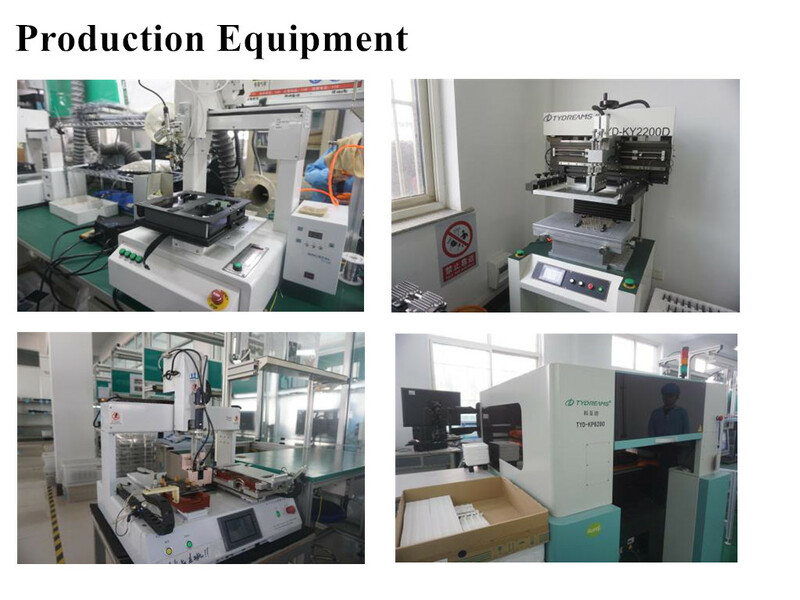 Shandong Senter Electronic Co., Ltd., located in state-level New & Hi-Tech development zone of Zibo city, is a high technology enterprise applying itself to provide communication test instruments and comprehensive network monitoring solutions. 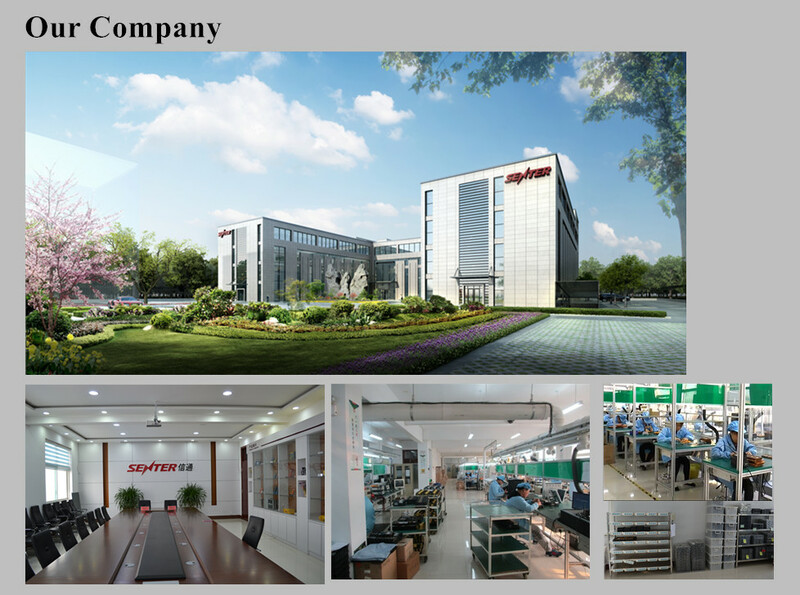 It was founded in1996, there are 360 staffs now, Senter covers an area of 20,000 square meters. Senter have passed the ISO9001 international quality management system certification, now is the “High Technology Enterprise”, “Software Enterprise ”, “Center for Post-doctoral studies ”, “Zibo Communication Maintenance Instruments Engineering Technology Research Center ” and “The national Intellectual Property Pilot Units”, and has the honor to get “Shandong Provincial Outstanding Private Science and Technology Enterprise”, “China's Patent Shandong Star Enterprise”, Senter have six functional departments and two business divisions, and have New technology R&D center in Shenzhen. 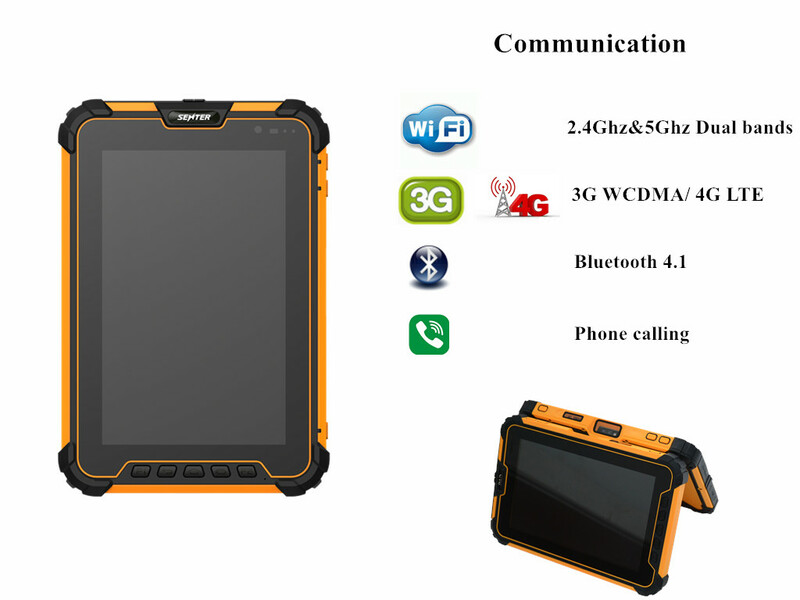 Android operate system IP67 rugged tablet PC and industrial PDA as data acquisition intelligent terminals with optional barcode laser scanner and UHF NFC RFID functions are popular in industrial manufacturing, logistics management, warehouse management, public security, power electronics, GPS locations.There are many size for your choice from 4 inch,5 inch,7 inch ,8inch to 10 inch. 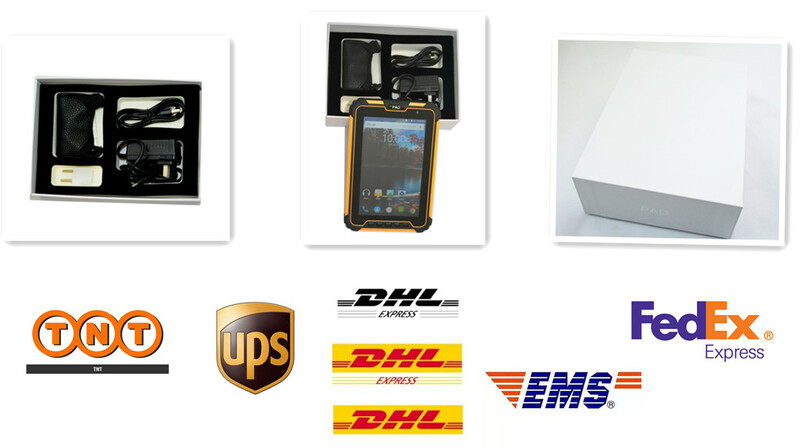 The goods are popular in USA, UK,Russia,Spain,Chile with CE,ROHS,IP67,FCC certificate. SENTER persists in “Profession, Innovation, and Quality” as its development strategy and take “Build National Brand” as its target, always keep up with industry development and customer requirements, SENTER has already become an industrial main force with national brand spirit. Until now products are exported to more than 50 countries. 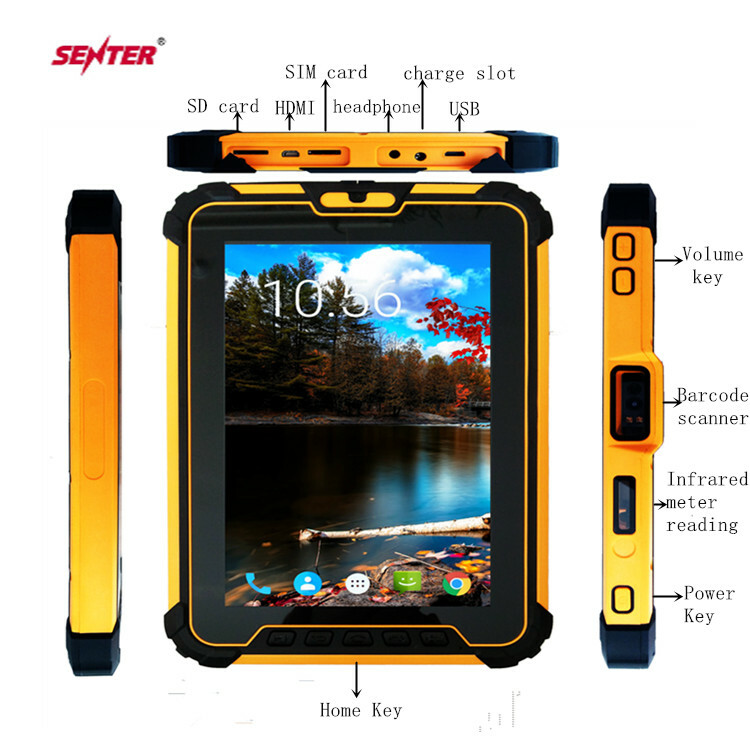 SENTER won more than 55 patents, 17 software copyrights, about 20 enterprise standard records, also undertook 15 scientific plans from country and province government and 2 national scientific projects, and was listed as “Innovative and high-growth enterprise” of Zibo City in the first 30 enterprises. Becoming international famous communication maintenance solution provider is the best vision of Senter, with fast development of global information industry, only continuous science and technology innovation and first-level technology can make new and greater contribution to fast development of information industry. 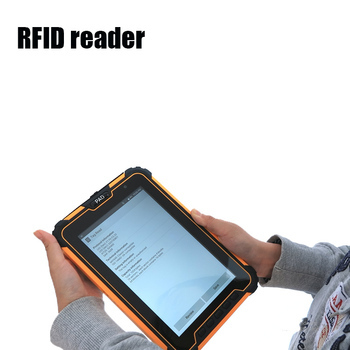 The supplier is ranked number 1 by reviews data in Communication Equipment. 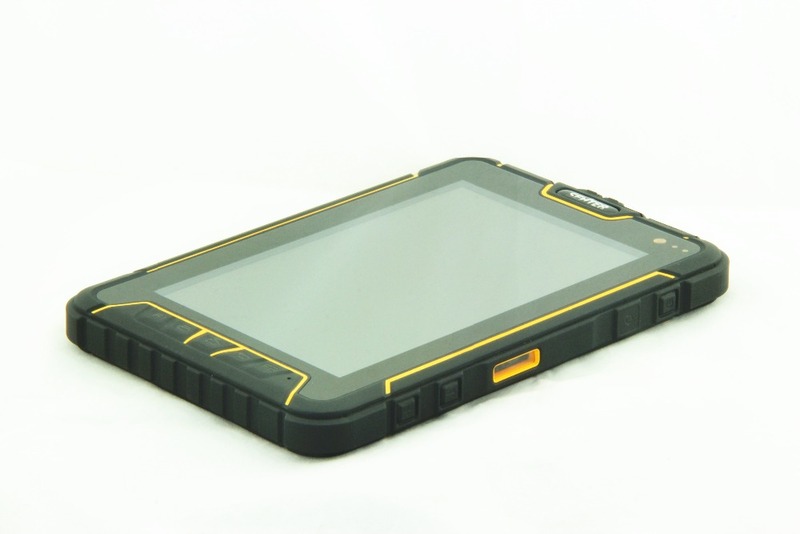 The supplier is ranked number 9 by transactions data in Communication Equipment. The supplier has delivered 38.2%% of their orders on-time in the last 180 days.